At World Broadcasting, Inc. we welcome the opportunity to take RON SEGGI TODAY on the road. In broadcast engineering, a remote broadcast is done from a location away from a formal studio and is considered an electronic field production (EFP). From time to time RON SEGGI TODAY broadcasts on location in front of live enthusiastic audiences. 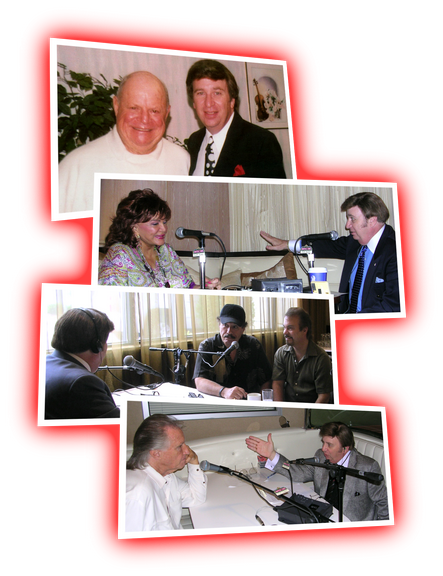 RON SEGGI TODAY has been solicited numerous times to remote broadcast at well-known locations all across the country; to bring publicity, awareness, and coverage to cities and attractions. Remotes have proven to be an effective and entertaining vehicle for any event or promotion. World Broadcasting, Inc. arrives with production equipment, crew, and staff to ensure a truly professional production and business experience. If you would like World Broadcasting, Inc. to bring the RON SEGGI TODAY to your event or promotion location, contact our business offices to arrange the details. RON SEGGI TODAY originates from Universal Broadcasting Studios in Orlando, Florida.